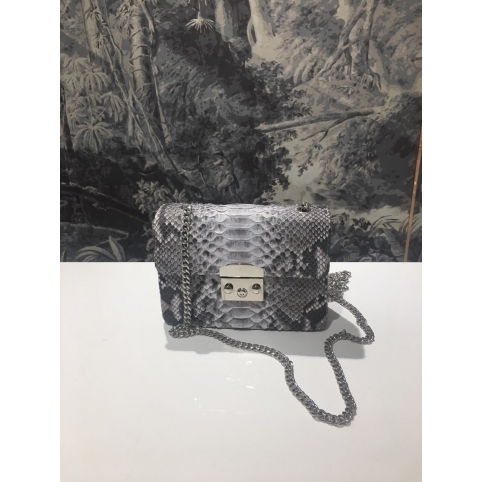 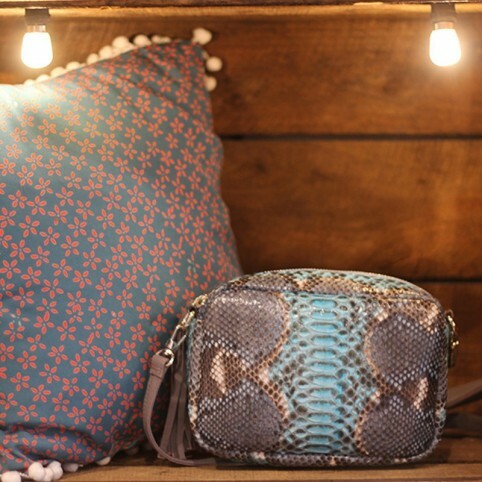 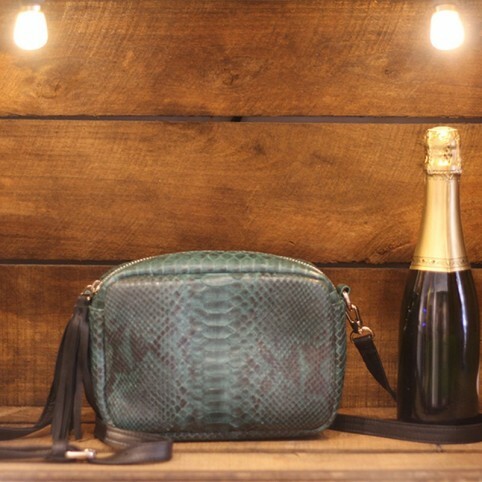 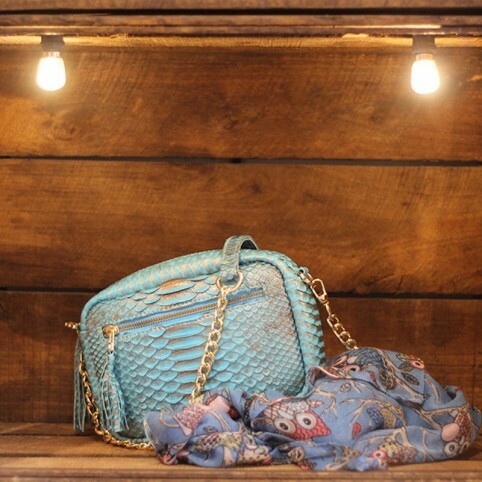 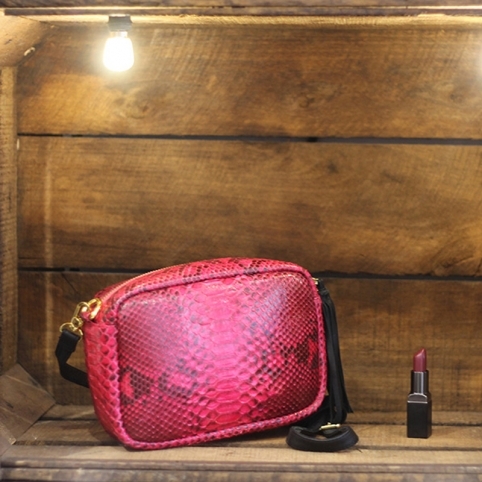 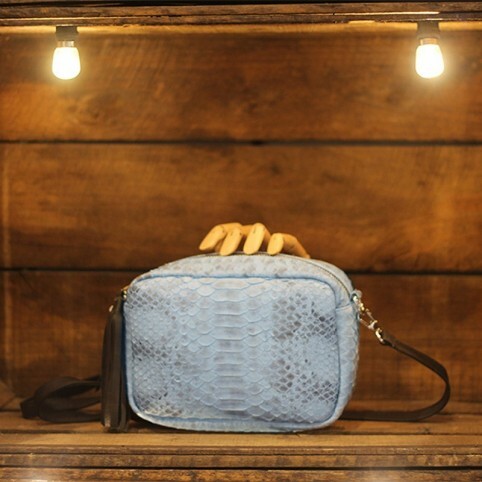 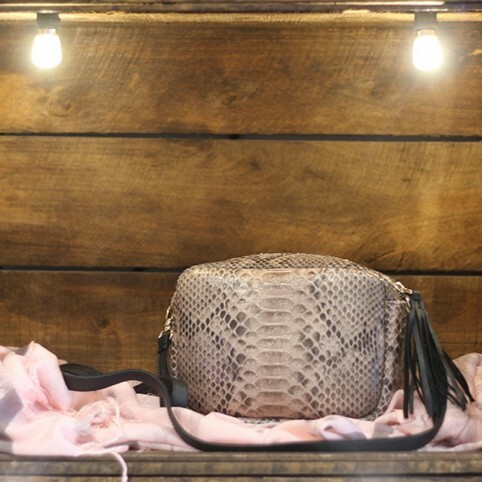 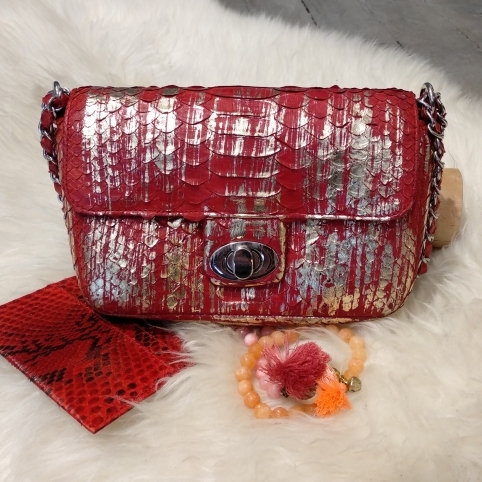 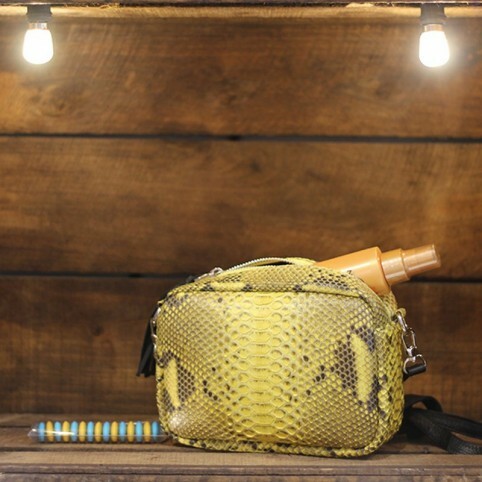 A tribute, by its size and its pace, to the camera bags, falsely small and able to carry all your belongings with a minimum of space, the camera bag Uma Naga offers beautiful colors, painted hands on a python skin true. 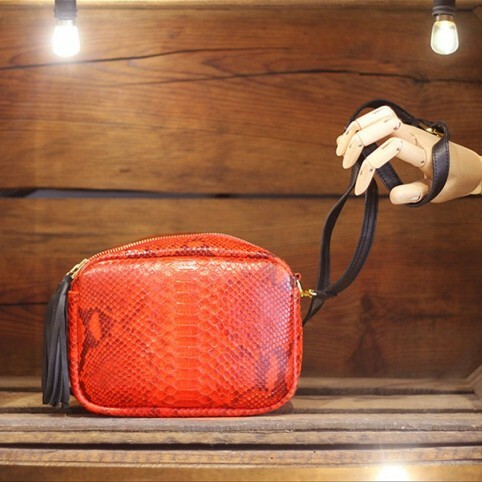 An adjustable shoulder bag. 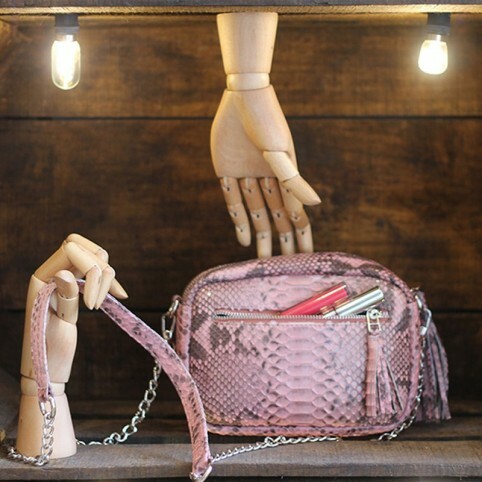 Contact us to see if we can plan a similar creation for you.